Great product, super easy to install. Bought these for my wife for Christmass 2008...Five minutes later she was tickled pink, as they are exactly as advertised. No gimmicks, nothing but top quality. I was very impressed with the product and with the very fast delivery to Canada. Thanks a million. 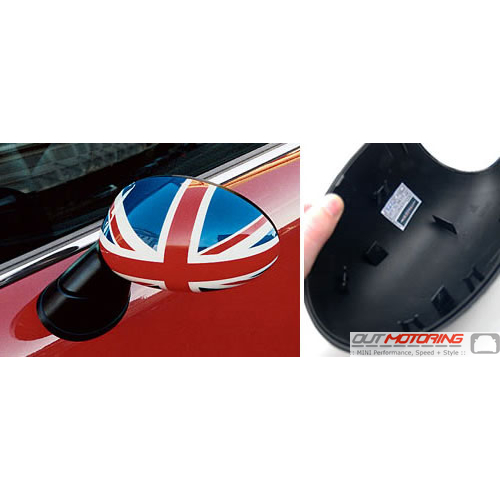 Want to add some Union Jack flavor to your MINI? This factory replacement mirror cap is a perfect fit. Fits left hand drive cars only. Priced as a single side.